Purchase This Sign Supply Online Before 1 P.M. EST For Same Day Shipping From Our Fast-Ship Warehouse! This Radiating Sign Supply That Supports Translucent Images Will Make Your Posters and Printed Messages Stand Out From The Crowd! Thin profile (.83") won't protrude into walkways or shopping areas. 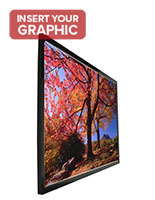 LED technology illuminates a display for up to 11 years! Acceptable LUX readings exhibit an illuminated poster frame's effectiveness. Cheap price will fit any budget. 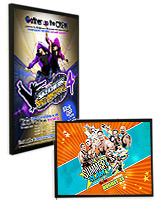 Can display 24" x 36" translucent posters. 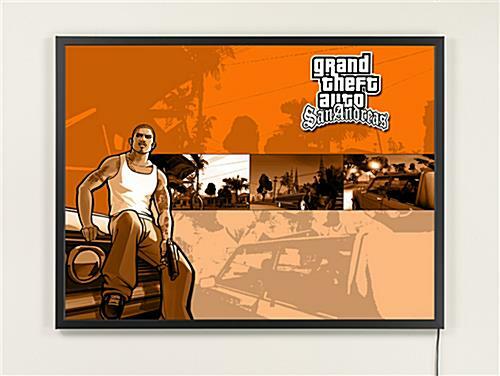 No switch to turn an illuminated poster frame on or off. 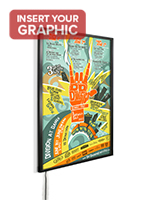 This metal sign supply that comes with wall mounts is ideally utilized in a professional environment to accentuate an ad or marketing exhibit. They are optimal in commercial shops and public transportation depots. 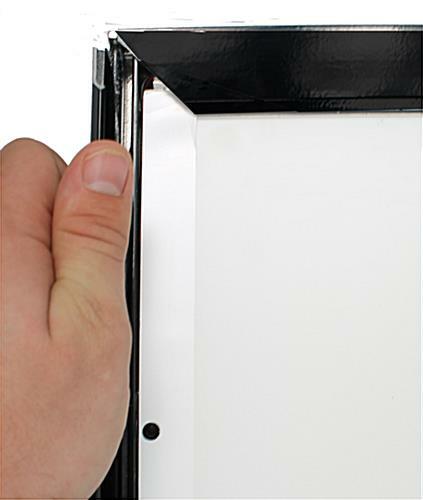 The LED frame, sleek sign supply that anchors advertisements even comes with rounded edges to stop those walking by from becoming scratched or injured on the corners. 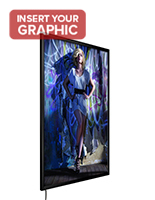 The LED display is also quite slim, featuring a fine profile that is just .83" deep and allowing it to mount flush on the wall when installed correctly. Not only will this give the sign supply a more attractive and modern look, but it will also help stop the LED frame from protruding into the paths of pedestrians passing by. 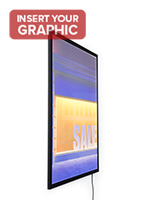 An LED frame is a compelling sales instrument for marketing a company, servicing, or merchandise by just giving extra illumination to an exhibit. 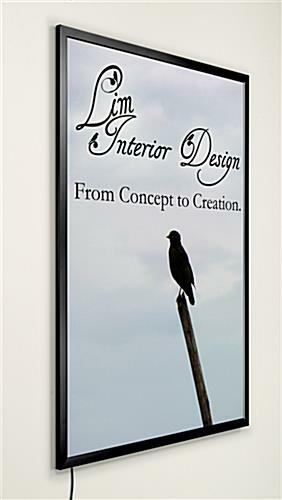 This stylish sign supply that displays on walls has clip-open molding to effortlessly slide in your publicizing images. The sign supply with edge lights, also recognized as backlit frames, incorporates LED bulbs to dispense illumination across an exhibited visual graphic. Our company recommends utilizing translucent images to more fully exhibit your sign and message. 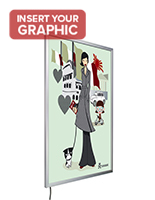 A sign supply with low voltage is meant for exhibiting a 24" x 36" artwork in either horizontal or vertical orientation. All essential supplies for altering the orientation are provided with your order. Our company supplies the LED frame display with mounts and tools to suit either direction.